It’s a while since I posted so thought I should put something new on here. I’ve been back in the UK for a while and getting used to the Bouzouki whilst playing a few open mics and meeting up with my old musical partners Pete Young and Gus Mills and even Jim Stewart before his departure to India. Here are a couple of clips from those nights courtesy as ever of Andy Boyd ! This saturday I’m playing the Seven Stars in Bristol, which for those that haven’t visited is an Old Pub near Bristol Docks with historic associations with the Slave Trade . 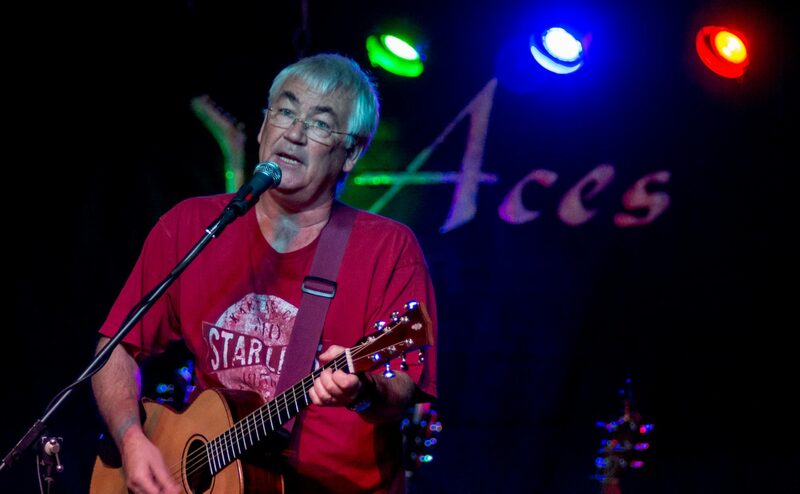 It always has an ever changing selection of great and unusual beers and on saturday and sunday afternoons features acoustic music shows which have been hosted Alfie Kingston for more than 10 years.There is always a good mix of some of the best local artists who are all booked to play 30 minute slots. Saturday I’ll be playing with Pete Young on keyboards for a mix of old and new songs and possibly even a Russian Folk Song. On March 9th I’ll be back at Common Grounds in Northport , Florida, but this time playing Mandolin and guitar on a few songs with Wendy Kaneko. Wendy has her own show that night called “A Journey of the Heart” and will also be joined by Rico and Kate on percussion and bass.Wendy is a great original and emotional singer and songwriter as well as a good friend. The following weekend on March 16th I’ll be playing a show at the Elixir tea rooms in Sarasota. This is a small , intimate, but very relaxed venue and the chance to play a few rarer covers and original songs. Looking forward now to the sunshine and warmth of Florida for a few weeks ! !